Festivals are an expressive way to celebrate glorious heritage, culture and traditions. They are meant to rejoice special moments and emotions in our lives with our loved ones. They play an important role to add structure to our social lives, and connect us with our families and backgrounds. They give us a distraction from our day to day, exhausting routine of life, and give us some inspiration to remember the important things and moments in life. Festivals were started to pass the legends, knowledge and traditions onto the next generation.All festivals are cultural in one way or another. There are many types of cultural festivals such as National, Religious and Seasonal. They all serve the purpose of bringing happiness to our lives, and strengthen our sense of community. In India all types of festival are celebrated with lot of enjoyment and enthusiasm irrespective of castes, creeds and religions. People used to visit the house of their relatives and close friends during any festive occasions. There is a custom of sending and receiving gifts from their beloved ones which help them to tighten the bonds between their loved ones. But due to busy schedule of life people have not much time to spend on shopping from retail stores. One thing is common in this fast leading life that is online shopping where all kinds of product is available at reasonable price. 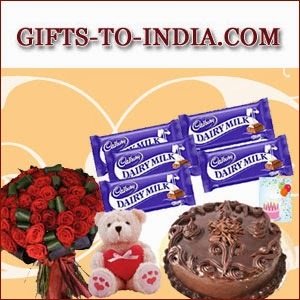 Just pay your visit to Online Shopping store and send adorable gifts to your special ones which will make them happy and joyful. This online shopping store is composed of Fresh Flowers Bouquet like roses, gerberas, carnations, orchids and many more. It also comprised of ambrosial confectioneries, Assorted Sweets, Dry Fruits, Fresh Fruits basket, stylish leather organizer, pen set from parker, delicious cadbury’s chocolates etc that gives you wide range of conceptual gift hamper to select and send with the help of single click. There are certain emotions that can’t be expressed through words in that case gifts play a pivotal role in expressing your heartfelt emotions to someone special. The Gift is considered as a wonderful means of communication. The ultimate benefit of a festival is the shared experience of those who participate. This reinforces the social bonds between the groups who celebrate the festival and shows strength and solidarity to those outside this social group.Express your deep instinctive feelings of love and affection to you dear ones with the wonderful expressive gifts. Just have a look to the online shopping store and place an order to please your dear ones. Chill out this winter with the rocking gift items for your loved ones and make your marks forever in their hearts and incorporate happiness into their lives. Celebrate the celebrationwith joy of winning hearts of your dear ones by giving them an elegant bouquet of exotic colorful Flowers with an award-winning Cake dipped in chocolate will sure to melt any heart. Make your day very special as well as haunting forever by ordering pleasant presents for your friends, family or your beloved and appreciate them of the special feelings that they have brought to your life. Visit any local Online Shopping store and choose your desired products which will be appreciated among mass and class to all over India. Make a special occasion memorable and cherished when you make a pack of Dried Fruits a part of the celebration. This delicious treat is definitely a must-buy if you are planning to offer something special for someone special. Indulge people who you love on their birthday in delicacy of Sweets from Haldiram that comes in shape of a traditional Indian pot and are garnished with dry pistachio flakes. Magnificent color experience with the most appealing splashy blossoms are meant for the new partner, whose style and decency perfectly commendation each other. Fragrance and freshness bring love and affection on the face of your dearest one and even make you proud too. God has blessed you with an amazing mother. Express your love for your mom with the pleasant gift of a bountiful Fruit basket along with a beautiful mixed floral arrangement of fragrant Flowers accented with vibrant colors that marks its superiority at the first sight itself. A friend is a gift of god whose worth cannot be measured at any cost. Greet your special friends with the vast collection of items available at any Online shopping store will sweep the recipient off their feet. A teacher is beyond measures. It’s a day of appreciation for educator. Giving gifts on that particular day also serves as an expression of gratitude towards our teachers. Diwali is the auspicious festival of lights when family and loved ones get together and share the precious bond of love and care. That is why Diwali is also known as the festival of gifting when people exchange presents with family and friends and wish for each other’s god fortune and prosperity. An alluring Box of Chocolates and delightful array of Sweets wrapped up in your affection is the perfect offering for your family and loved ones to make them feel special, loved and lucky forever. Love in its various forms acts as a major facilitator of interpersonal relationships and owing to its central psychological importance, is one of the most common themes in the creative passion. It may also describe compassionate and affectionate actions towards the woman or man you love the most. To show your intense passionate love towards your loving partner; a day is being observed a day in the month of February every year; known as Valentine’s Day. On this particular day young couples send gifts as a token of love to each other and confess their true love towards them. Though the Valentine’s Day is celebrated on 14th February around the world, but young couples start dedicating their love a week before this special day. While most couples are busy preparing for the special day, many of them do not want to limit the celebration of love just to one single day. They decide to shower their love the entire week. You may also choose to celebrate the occasion for the whole week proceeding the romantic day by sending Flowers, Cards, Small Gifts and various other tokens of love. This will keep reminding your partner that loving day is actually approaching. Plan a week before this special day about what are the things that can be a mood setter though being excited about it is in itself a big draw; you make your partner feel wanted and special. The week starts with a Rose Day on the first where lovers greet on another with Crimson Red Roses or send an acknowledgement Cards to impress their partner. Then comes the Propose Day on the second where couples are often preferred to announce love or propose wedding to your partner and provides affectionate gifts to each other. On the third comes Chocolate Day is being observed where love binds people send delicious chocolates to one another and its sweetness can sure enough enhance the charm in their relationships. Then comes the Teddy Day on the fourth where the couples tickle them with soft toys which will definitely recollects old memories and resemble the soft nature of your partner with this soft teddy. Love comes with voluminous responsibility, true commitments to concrete your relation; that is guaranteed with a promise to fulfill it on Promise Day that is observed on the fifth day. Hug your partner or friend tightly. Hugging is a vital expression of warm-heartedness and affectionate. Simply take some time and steady and show your partner that you simply love, care and support him/her during the hug day on the sixth in series of the week. Lastly it accompanied with a kiss day to express your heartfelt passionate desire to love your partner immensely. All these special days constitute a week before romantic day to make the celebration long to make an overwhelming impact on your partner to cherish throughout the lifelong impression. 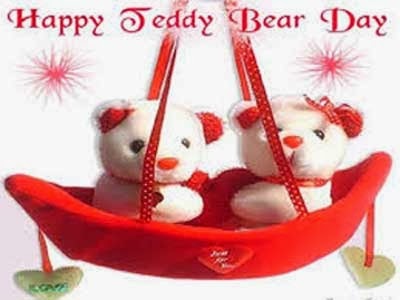 On the fourth day of the Valentine week, Teddy Bear Day is celebrated in most parts of the world on 10th February. Its name comes after US President Theodore Roosevelt in 1902 for his kindness of not shooting a Bear in a hunting campaign in Mississippi. After this happening, Morris Michtom created and sold cute plush Bears around the world. This is a soft toy in the form of a Bear. This is a special celebration for the Lovers who want to exchange the Gifts on this day. Most of the people will exchange the gifts. People will celebrate it with more enthusiasm and more Enjoy. The lovers will exchange the cool plush bear on this day. Send your beloved heartfelt warm wishes along with your deep concern towards them all over in India at lowest cost through online shopping. Teddies are the most favorite of girls with whom they share their deepest secrets. This plush is among the most popular gifts for children and are often given to adults to signify love on Valentine week. Valentine party is not completed without an adorable plush Bear followed by balloons and Cake. On this exceptional day boys send soft toy gifts and wishes wrapped up in loves and emotions to their beloved. Make your special one feel happy through a beautiful gift hamper like dazzling Flowers, mouth-watering Cake, lip-smacking Chocolates and an adorable Teddy and always stay in their hearts. Pamper your loved ones with this spectacular item that shows how much you care about them. Expedition your sweetheart unconventional with excitement by gifting them this lovely present and make your mark forever in their hearts. Create a long-lasting impression upon them on this memorable day and see their faces glow in happiness. Call your beloved every hour and every time and give a different reason why you love them so much, even better if you send one awe-inspiring Teddy every hour. Let your dear ones know that every moment you spend with your darling is like beautiful dreams come true on this significant day and appreciate them of the special feelings that they have brought to your life. If you are thinking of someone cute and huggable send a tight hug with this pretty gift to your beloved conveying that if he/she is suddenly feeling warm and nice, that’s just because you are hugging him/her in your thoughts. Deliver a lovely message to your partner along with your presents that let you be their Teddy Bear because you can’t live without him/her. Love can happen in any time, any where and in any ages as it has no boundaries to bind with. Your beloved brings smile to your face when you're sad and makes your day bloom with lots of joy and happiness. It's Propose Day and it's time to let your special ones know how much you love them. You just have seven days to the show the world that how much you treasure your valentine and how eager you are to make this Propose Day special for him/ her. 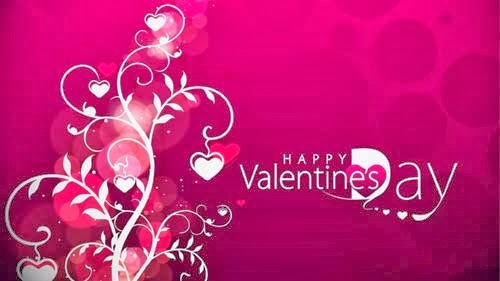 February 14, celebrated as Valentine's Day each year, is eagerly awaited by love birds across the globe. Young couples begin preparing for it several days in advance; deciding as to which dress would be suitable for the day, where to celebrate the occasion, what gift to be given to their loved one are among the few things that require special attention. Lovers often devote an entire week in the preparation, looking for adorable gifts, sending attractive Flowers Bouquet or Greeting Cards that express their heartfelt emotions to your partner for the day and making other arrangements to make your special person feel more loved. Love bind people observed a week before Romantic Day for making the celebration much grander. There are seven days before Valentine’s Day like Rose Day, Propose Day, Chocolate Day, Teddy Day, Promise Day, Hug Day and Kiss Day. Each day of this loving week has a specific purpose to deliver in its own way. 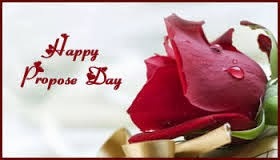 The Propose Day is celebrated on 8th February every year. On this day when a person propose to their partner is never been rejected. This is often a day to announce your pure love to the girl or man to whom you have a crush on. Love is like eternal flame once it lit, it continue to burn for all time. Love isn't blind; it just only sees what matters. Love is a moment that lasts forever. You will know the real meaning of love when you fall in love. If a tear fell from your eyes, everytime you wished you were with your loving partner that shows unconditional love for your spouse and you would have a puddle of fallen wishes at his/her feet. Through the wind you hear the voice of your partner and could see the name in the clouds are all the symptoms of falling in true love with your loving person. But you are afraid to talk and to express your heartfelt emotions to your special person. Have your courage and propose to them on this Propose Day before this romantic day by sending affectionate gifts and lovable flowers bunch to impress your partner on this special day. On the Propose Day, you’ll be able to request to the lady/boy that you simply have a soft corner for the person you love the most. Proposing is the initial stage for winning the heart of your lover. It is nothing but letting your lover know that you love them very much. Thus enjoy the day to its fullest with your spouse and cherish it forever.